This blogger is only having #ThursdayThoughts about going home for some summer fun! That’s right, it’s Lily’s last blog at Weldon Owen before she adventures across the country and moves to New York. Before landing on the east coast, she’ll be heading to her parents’ house to write and cook and eat all the grilled catfish and pickled veggies she can get her hands on! 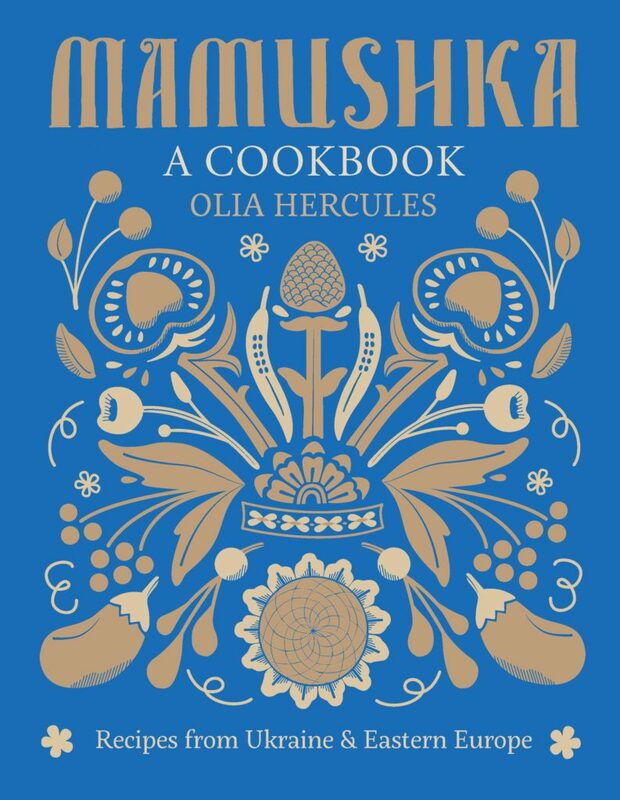 And since Mamushka is one of Lily’s fave cookbooks, we decided to share a few of Olia’s recipes we know Lily will share with her family. Safe travels and best of luck to Lily! 1. Mix the ale, honey, and soy sauce together in a dish. Add the catfish, cover with plastic wrap, and leave to marinate in the refrigerator for a couple of hours or overnight. 2. Place the shallot slices and flour in a bowl, add some salt and pepper, and mix well. 3. Heat the sunflower oil in a frying pan until hot. Shake the excess our off the shallots and fry them until crispy, 5–7 minutes. Remove with a slotted spoon and drain on paper towels. 4. Prepare a charcoal or gas grill. 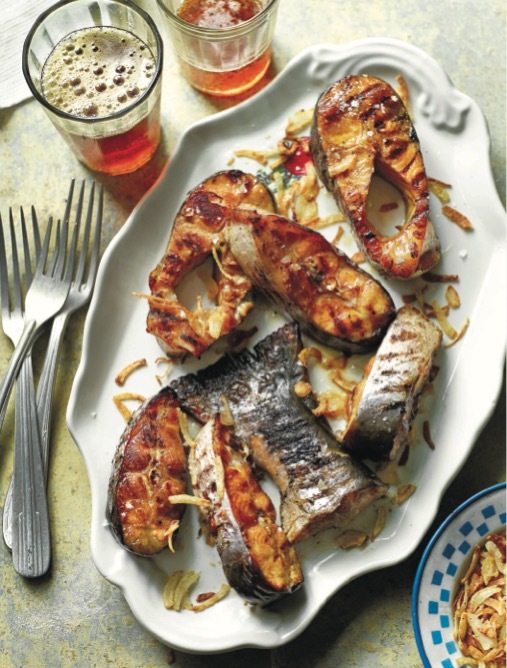 Take the fish out of its marinade and pat it dry with paper towels. Oil the grill rack really well and grill the fish until cooked through, 5 minutes on each side. Serve with the crispy shallots and carrots or a garlicky sour cream sauce. 1. Mix the carrots with the salt in a ceramic or glass bowl and let them stand for an hour or so at room temperature. 2. Add the sugar, vinegar, and garlic and mix well. 3. Heat the sunflower oil in a frying pan, add the onion and spices, and cook over medium-low heat until the onion is very soft and slightly caramelized, 15 minutes, then remove from the heat and let it cool. 4. Add the cooked onion to the carrots and massage everything again. The carrots will keep in a sterilized jar in the refrigerator for a month or even longer. For more delicious Ukrainian recipes, check out Mamushka on Amazon now!